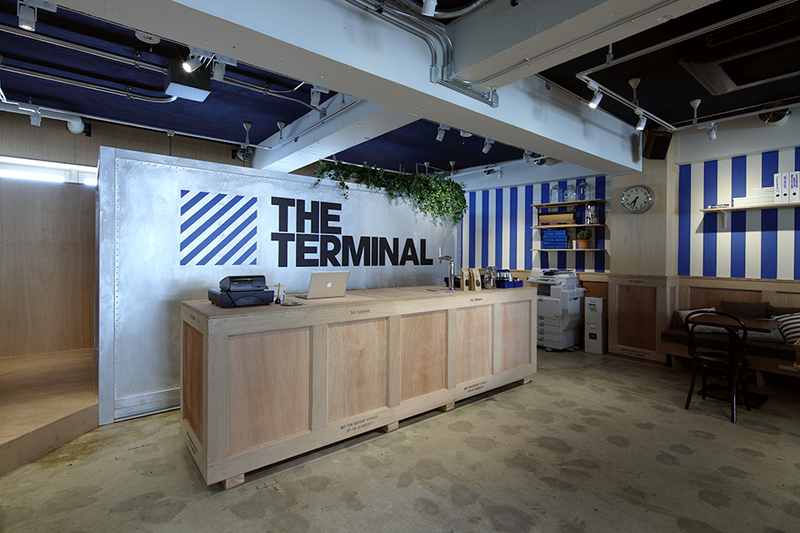 THE TERMINAL is community space with the concept "work + study + eat + drink + play." 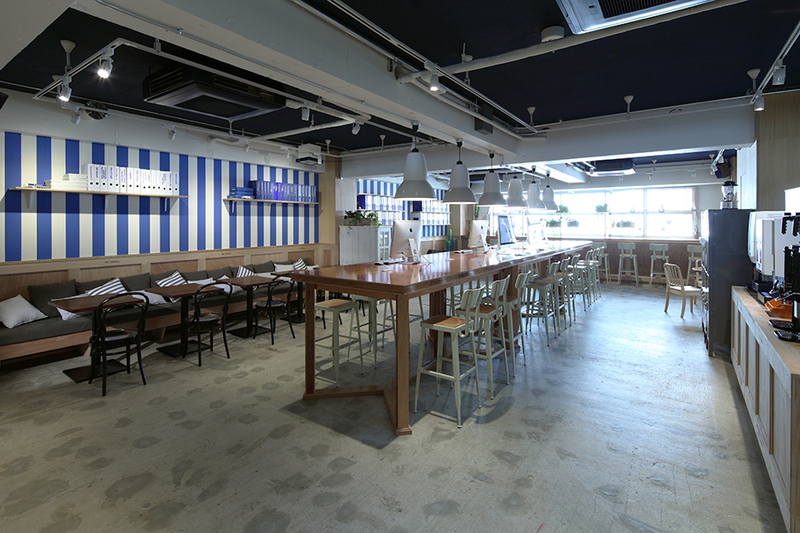 It is located in the very heart of Tokyo in the well-known Harajuku area. 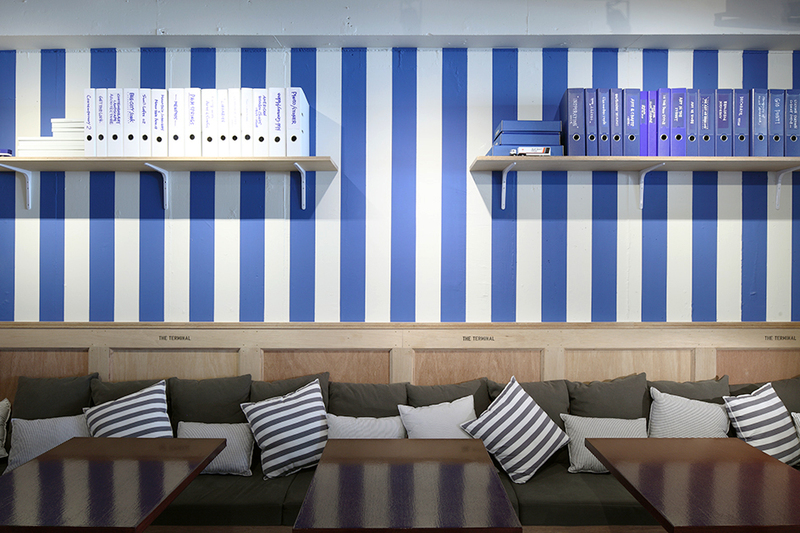 Not merely an Internet café, this terminal-like space is for people working in creative fields (often freelancers) and those nomadic workers who perform their jobs on the go, moving from one location to another within the city. The interior was inspired by the name of the space and the functions it serves and can be seen as a focal point or "station" for information and exchange. 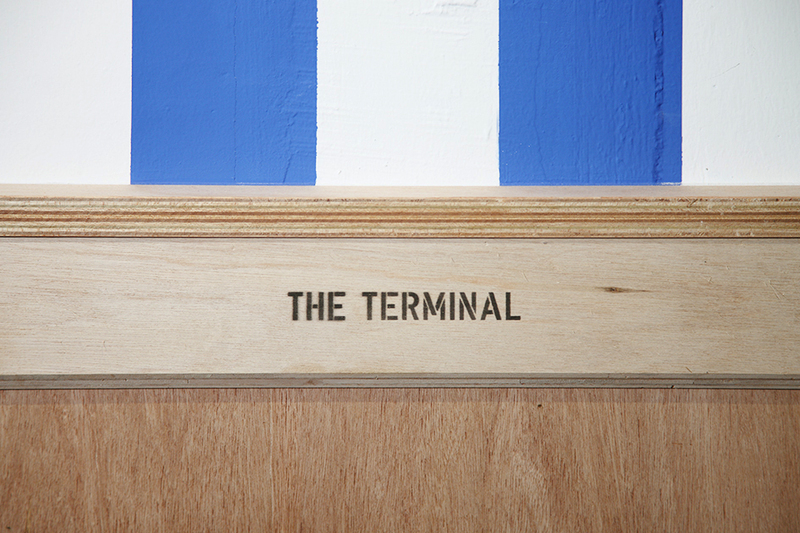 A "shipping" theme was applied to fixtures, which make use of reusable shipping containers and packing crates. Jamo created a space where visitors can relax and in a comfortable setting allow their creative energy to flow. At the same time, the space makes diverse use of natural materials and creates a straightforward atmosphere that doesn't try too hard to stand out. 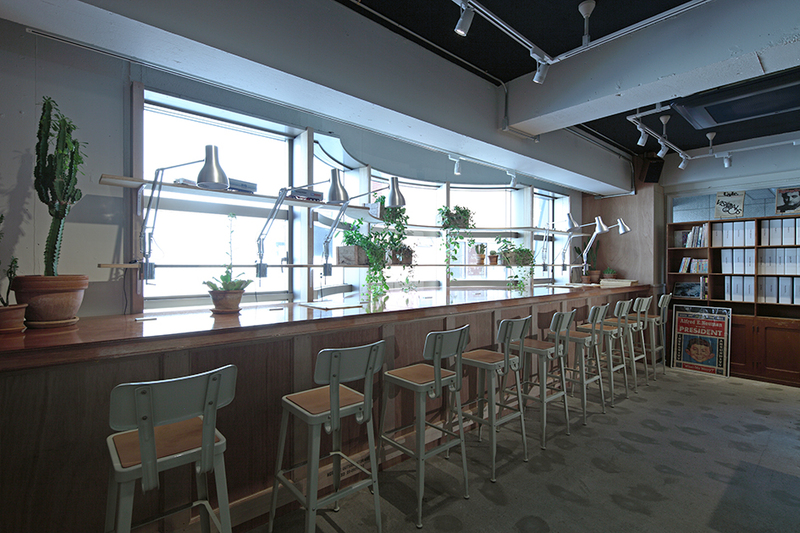 Finally, Jamo decorated the space with interior accessories that bring out the flexibility and playfulness of the Harajuku area.